WASHINGTON (Reuters) - The No. 3 Democrat in the U.S. House of Representatives on Wednesday raised the possibility of approving $5.7 billion in funding to secure the U.S. border though various means but not by building a wall. 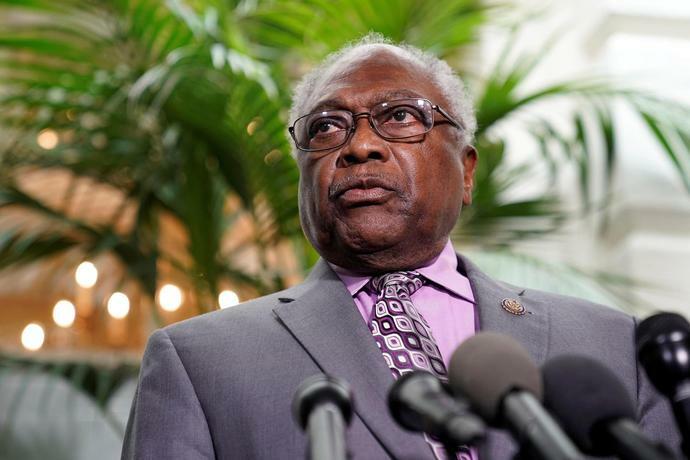 Referring to Republican President Donald Trump's demand for $5.7 billion to build a barrier along the U.S.-Mexico border, U.S. House Majority Whip James Clyburn told reporters, "We see ourselves fulfilling that request" with a "smart wall." The consideration comes as U.S. lawmakers this week seek to forge a path out of the partial government shutdown as it entered its 33rd day on Wednesday. House Democratic leaders' consideration of the figure is a jump from the earlier appropriations of $1.3 billion that they had earlier supported. Trump has said the $5.7 billion would be for the wall in addition to other funds for border security, and that he will not back any measure that does not include his long-promised barrier. His demand led to the closure of about one-quarter of the government last month due to lack of funding. Democrats, who took over the House this month, have flatly rejected the president's demand for wall money. Clyburn, at a news conference, said the $5.7 billion that the House could consider would be used to fund more drones, X-rays, sensors and border patrol agents but could not be used to build Trump's wall.